Looking for a professional Property Manager to rent your property? You’re in the right place! Real Property Management is Auchenflower’s leading provider of Rental Property Management services! At Real Property Management Australia we provide comprehensive, reliable, and trustworthy Auchenflower Property Management Services at below-market rates. When you have an investment property, you want the finest in property management to protect your investment. Whether you are a single property owner or own a portfolio of Investment properties, we’ll effectively manage properties that include single-family homes, apartments, duplexes and townhouses. Our Auchenflower Residential property management company has many years of experience in property management processes to consistently meet our customers’ expectations while saving them time and money. We utilize proprietary systems to manage the entire process to ensure the highest probability of success in all facets of managing your asset. Our full-service property management services include maintenance, accounting, legal compliance, marketing, leasing, collections/evictions, inspections, and more. Please contact us to discuss your individual needs and discover why Real Property Management Auchenflower is the leader among residential property management companies in Brisbane. Located 3kms from Brisbane’s CBD, Auchenflower continues to benefit from increasing consumer interest in inner-city properties and demand for boutique business space. As a result, Auchenflower has seen a lot of unit development, particularly along Coronation Drive and nearby Streets. Auchenflower has a strong mix of both commercial and residential property that makes it a lively inner city suburb. 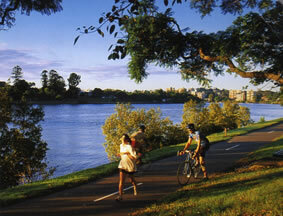 With easy access to Brisbane’s CBD and boutique shopping areas, such as Park Road and Toowong, the popularity of Auchenflower is reflected in the capital growth of property in the area The suburb features an ever-increasing number of units and some high-rise complexes along the riverfront street of Coronation Drive.It is a suburb particularly popular with young professional renters, wanting the ease of access to the city for work and entertainment. Public transport is accessible with both train and buses available, making the trip to the CBD very convenient. The CityCat terminal at Toowong, as well as the upgrade of Coronation Drive, have both enhanced the popularity of the area. Queensland’s largest private hospital, the Wesley, is located at Auchenflower. The suburb also boasts sporting fields and parks as well as a Catholic Church, and access to schools in neighbouring suburbs. 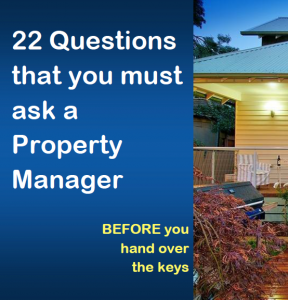 Real Property Management Australia are Auchenflower Property Management specialists.